Who doesn’t love a great Christmas party! Who doesn’t love a great Christmas party especially when it’s your company throwing the biggest party of the year! This week I’m sharing some of our favorite holiday party invitations. In the first group of pictures are two different invites where the company is celebrating the holidays “Vegas Style”. Black and gold colors set the tone and the small booklet itinerary completes the first fabulous invite. The second grouping of pictures is styled more toward the Old Las Vegas era and is my personal favorite! I love the peacock pattern in the next grouping; it gives such a festive look for this companies holiday party. The band is the perfect touch saying "VA PRO Christmas 2010" on the front and holds the RSVP on the inside. 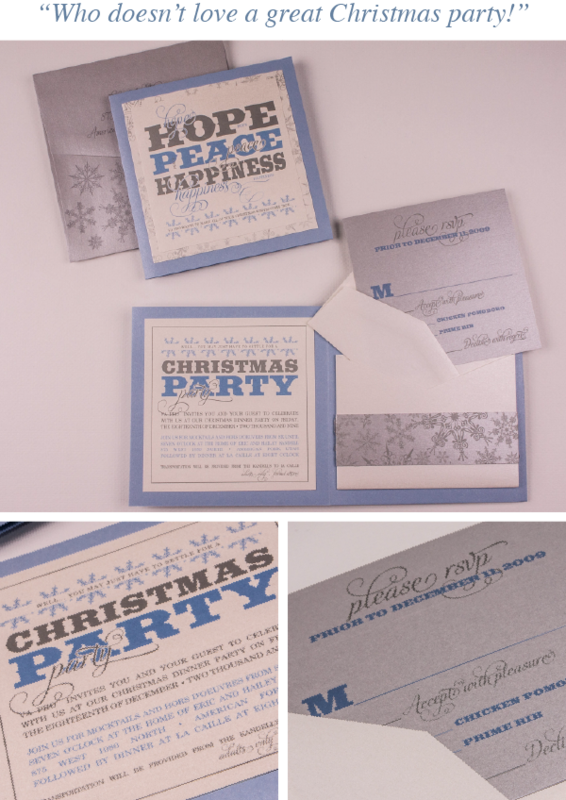 The next invitation is a classic with snowflake patterns and colors of blue and silver. The message is simple “Christmas Party” with a pre gathering before being escorted to an elegant restaurant for dinner. 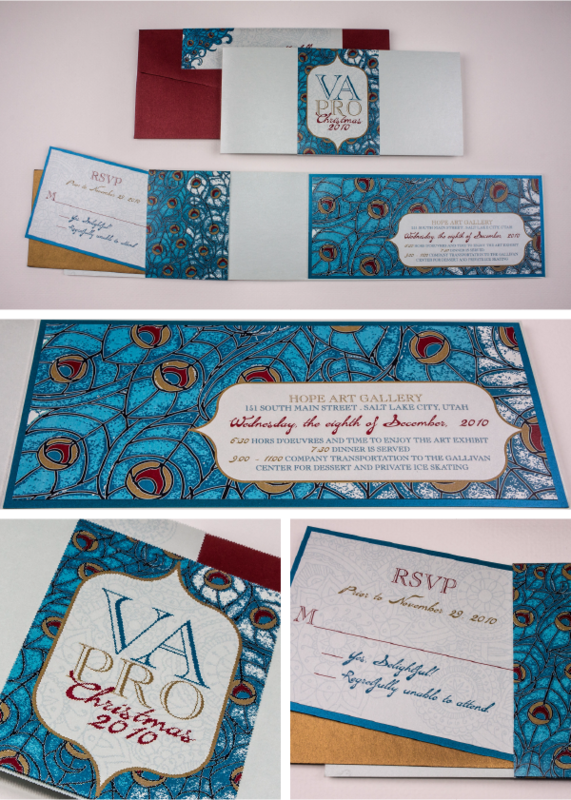 If you're looking for unique custom invitations look no further our team of experts can help you create a look perfect for your event!